I really want to thank you all for your "get well" messages and comments, it really means a lot. It was nothing a good 12 hours sleep couldn't fix but I think I'll try and get more rest in the future. 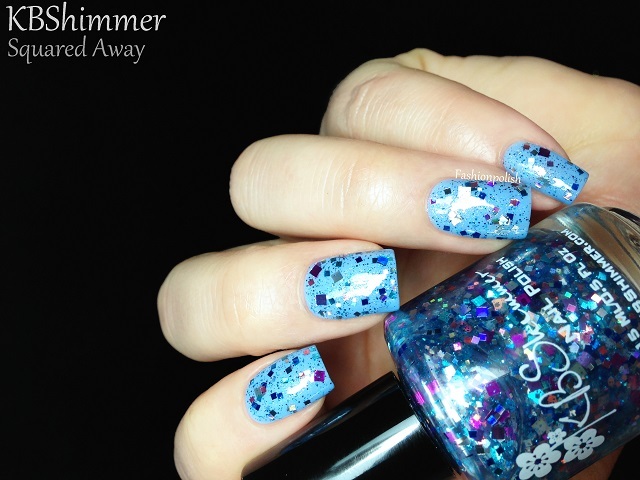 Anyway... A new KBShimmer collex is always a big event in the indie polish world and of course the Spring one was no exception. With 9 new shades, an exclusive topcoat and brand new printed bottles, I must warn you, big lemmings ahead! 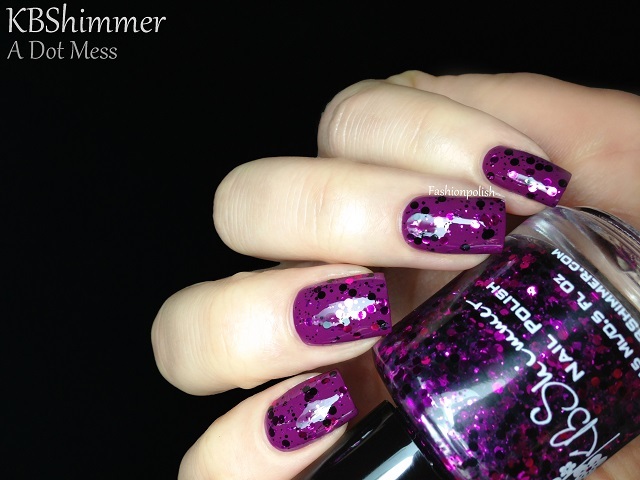 Clearly on Top is the first KBShimmer topcoat. 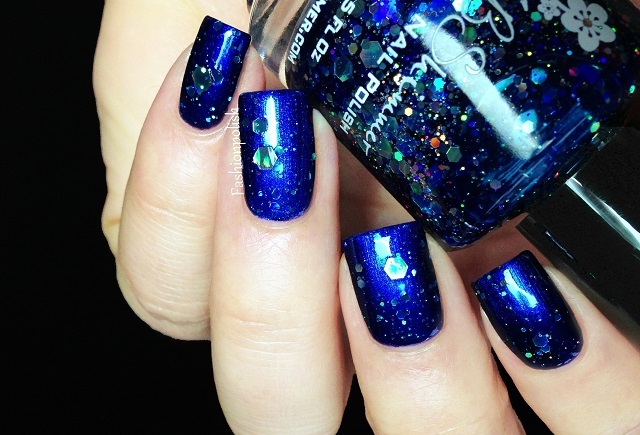 Thick, fast drying topcoat, glossy and nicely smooth over glitters. I used it in all of the swatches below. Lottie Dottie is a white jelly with fuschia and turquoise glitters that come in different shapes and sizes but mainly dots and really small hexes and bars. Formula was really nice and I'd even say surprisingly so for a white. This is 2 coats plus Clearly on Top. 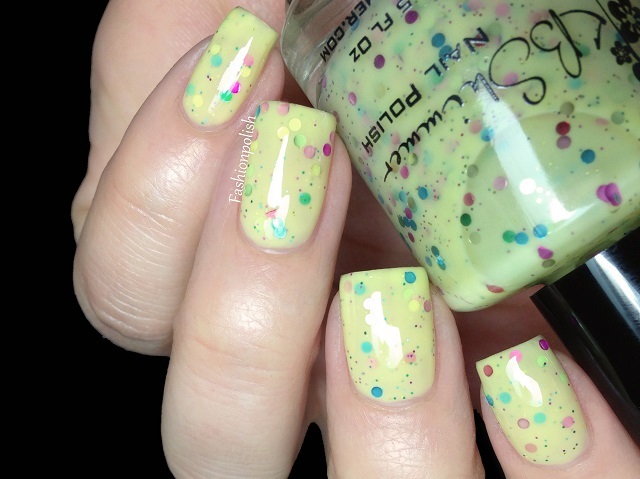 Where My Peeps At is a pastel yellow jelly with a rainbow mix of dots and micro glitters. Formula was a little less opaque than Lottie Dottie but really easy to apply and a 2 to 3 coater. 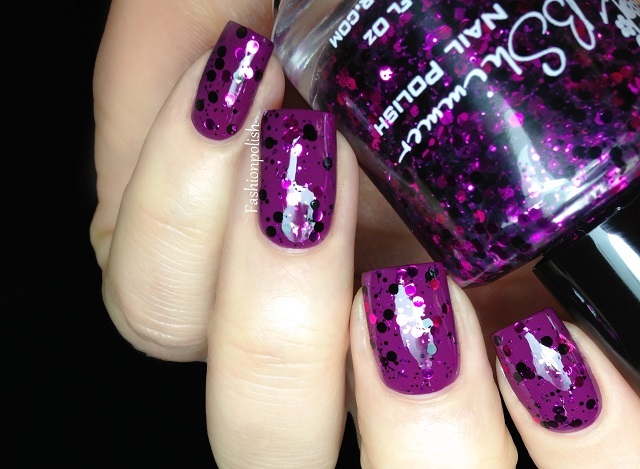 I used 2 coats plus Clearly on Top in the swatches below. 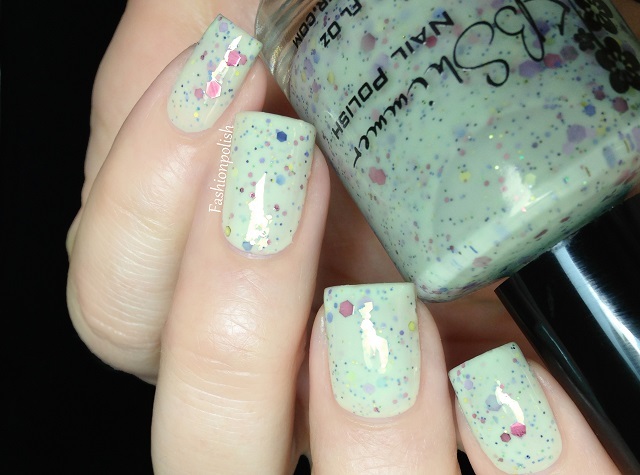 Spring Training is mint green jelly with a gorgeous mix of pastels, mainly pink, lavender and gold but also a few smaller green and blue glitters. Application was just as easy as the previous ones and I also used 2 coats plus Clearly on Top. 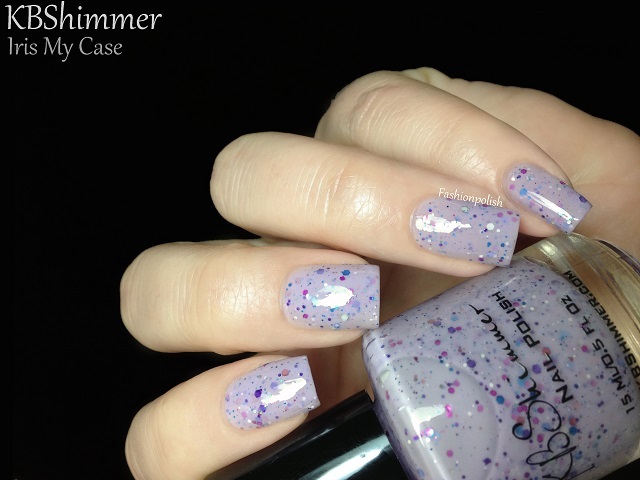 Iris My Case is the fourth pastel of this collection and a lavender jelly literally packed with hex glitters: pinks, purples, whites, blues,... I was afraid it would be thick but not at all, it proved to be as easy to apply as the other pastels and opaque with 2 coats, which is what you're looking at. 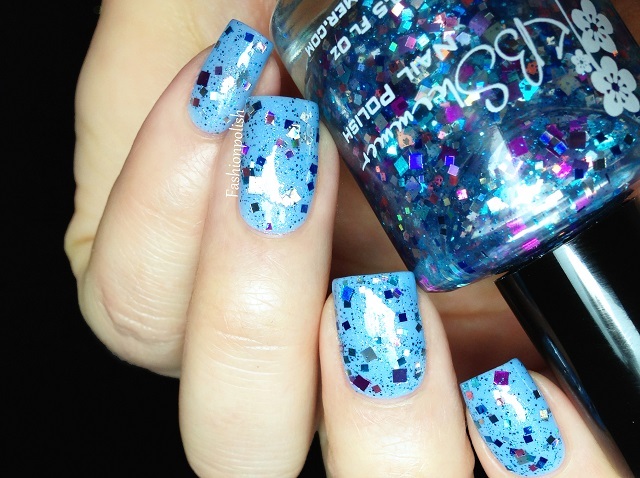 Squared Away is a mix of square pastel glitters and blue micros in a clear base. There are also a few silver holos in the bunch and I'm sure it would look good over a wide variety of colors. 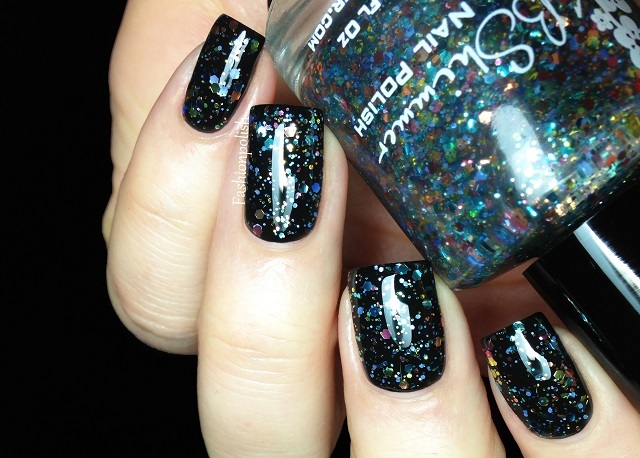 I used one coat of Squared Away over Nicole by OPI Stand by Your Manny plus Clearly on Top. 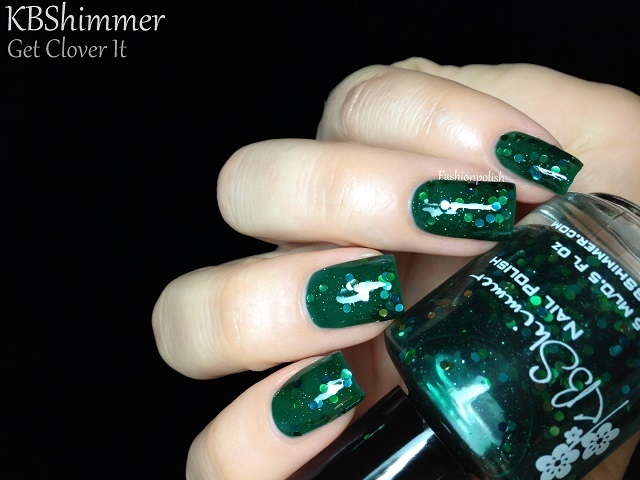 Get Clover It is a forest green jelly with green, gold and blue round glitters as well as some small green micro glitters. 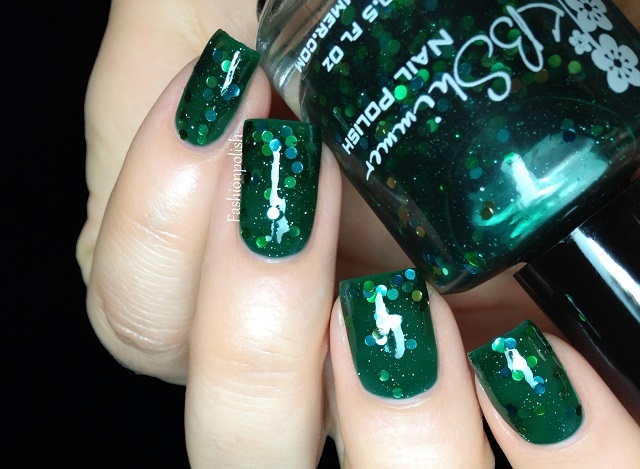 I used 3 very thin coats in the swatches below and I really love its translucent look but if you prefer completely opaque manicures, one coat on top of your favorite green will provide enough glitter. 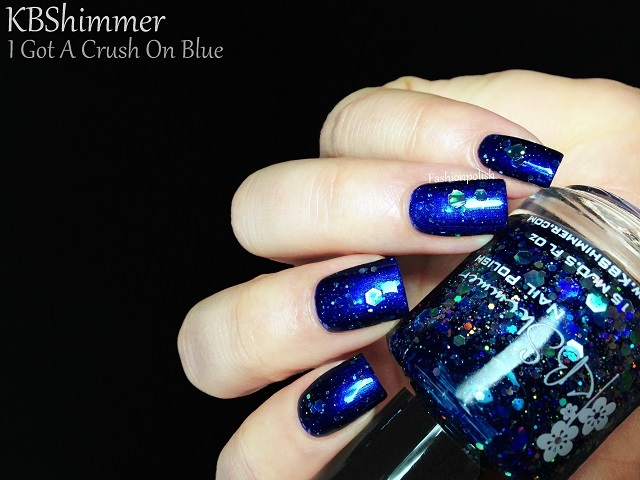 I Got A Crush On Blue is a dark blue jelly, with pretty much the same opacity as Get Clover It. 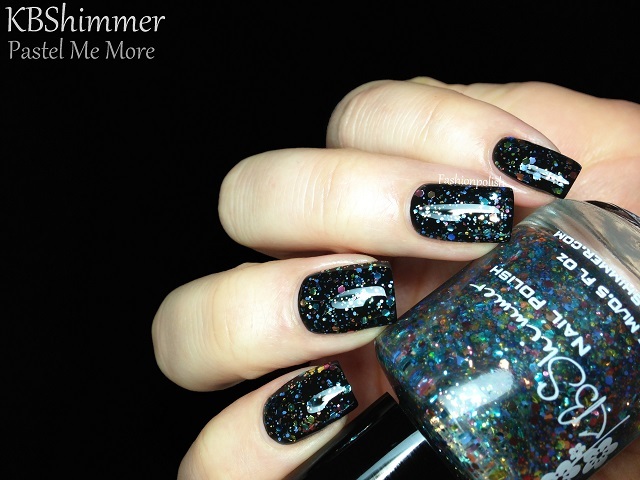 The jelly base is packed with silver holo glitters in different sizes, from large hexes to small microglitters and three coats would probably be enough to reach sufficient coverage but I decided to layer it to show you more options. You're looking at one coat over Nicole by OPI What's The Mitch-uation plus Clearly on Top. I really love this collection : from pastels to clear based glitters or darker colors, there's pretty much something for everyone. 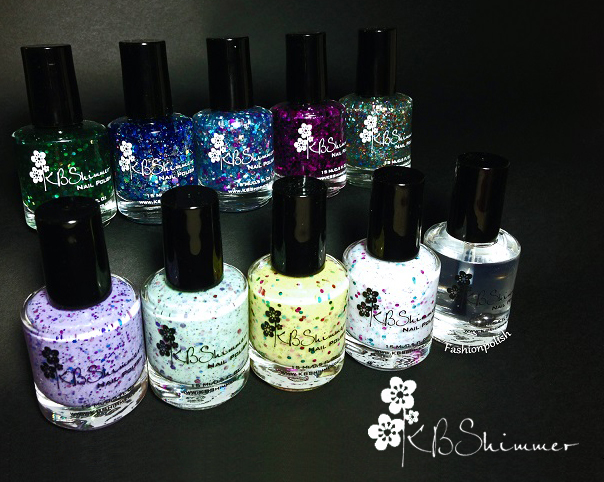 And of course, as usual with the KBShimmer high quality and easy application, no hard time fishing glitters here! KBShimmer can be purchased directly from KBShimmer.com or via Etsy, local stores or online at Harlwo & Co.
Maria Helena, São Paulo, Brasil. omg these are all so gorgeous! i'm really loving the sheer with glitter polishes! These are all so cool! Gorgeous swatches too! OMG these swatches are so beautiful. OMG these swatches are so beautiful! What a stunning Spring Collection! Love them! Absolutely lovely collection! Hard to decide which ones are my favourite since they're all so beautiful.